Develop your passion for using the media to tell stories with a Bachelor of Screen Media at Victoria University in Melbourne. Follow your interest in the changing media landscape, in industries that include film, television, radio, screen culture, online and mobile media production. You’ll develop new media production skills, techniques and knowledge (including intellectual property) through a combination of practical and theoretical learning. This course has a highly contemporary focus, preparing you to deliver innovative media content for online distribution, video-on-demand, streaming sites such as YouTube, television and radio. Everything you learn at VU has direct links to the real world. Through hands-on learning in our professional grade facilities, you’ll develop exceptional skills in media production. To ensure you are work ready when you graduate, you’ll complete 80-100 hours of work placement as an integrated part of this course. professional video and audio recording equipment and editing software. We are Australia’s first university to achieve Blackmagic Design’s DaVinci Resolve Trainer Certification. With DaVinci Resolve as our main post production software, you'll be using Emmy™ award winning DaVinci colour correction products that have dominated the television and film industry since 1984. You can choose to complete a portion of your Bachelor of Screen Media with one of our 110 international partners. For example, you could join our short study tour to China for creative arts students. Around the world, highly respected institutions are ready to welcome you into their community. Studying overseas gives you the chance to experience a new culture and learn from a new perspective – while gaining credits towards your degree. Our media production precinct at Footscray Park Campus has TV and radio studios. artistic director/radio presenter/TV presenter - $90,688 (JobOutlook). 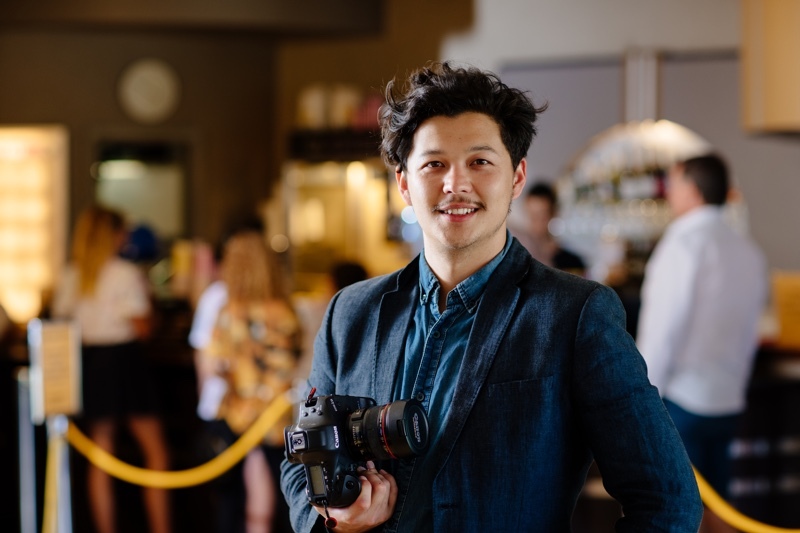 Benjamin Laut has used skills and connections gained at VU to co-found an award-winning film production company. 48 credit points (equivalent to 4 units) from Minor studies. 5. Exemplify advanced level communication and interpersonal skills consistent with professional practice in the screen media industry. Completion of a single unit of Higher Education studies. Five years (minimum) work/life experience in Humanities, Social Sciences, Creative Arts or similar. Browse our other Communication courses or send us an enquiry to be notified of updates relating to this course.